Without conflict, there would be no opera. 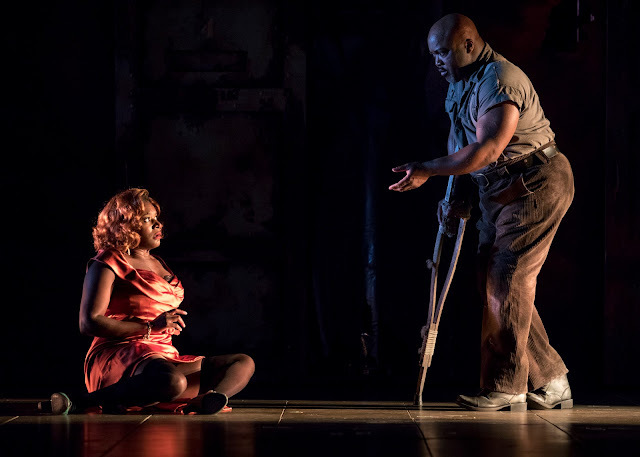 This is an art form that often relies on the anguish of its characters (among other emotions, like love) in order to tell a juicy tale, whether it’s Porgy and Bess, La bohème, or Madame Butterfly. 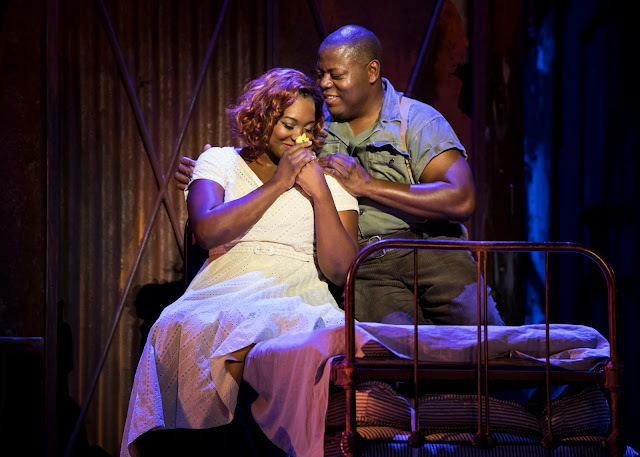 The difference with Porgy, however, is that, unlike stories depicting 1830s Paris or Japan at the turn of the 20th century, the conflict we see in Catfish Row, including the abusive relationship with Crown and Bess, hits a little closer to home with American audiences in 2018. 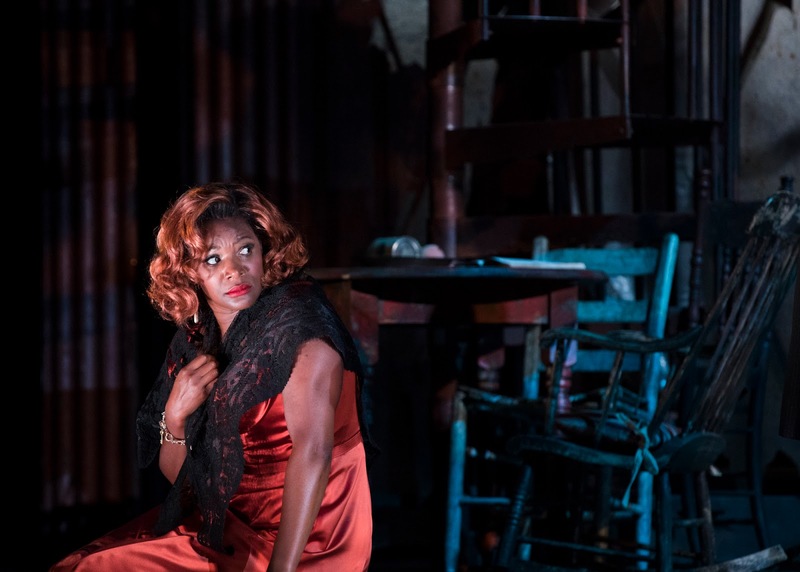 Considering the real-world themes of domestic violence, addiction, and more, Seattle Opera reached out to our two Bess’s: Angel Blue and Elizabeth Llewellyn to understand more about what it’s like to tell this powerful and affecting narrative. Bess’s struggles with addiction and abuse are important elements in the journey of her character. Tell me more. Do you approach Bess any differently than your other roles? 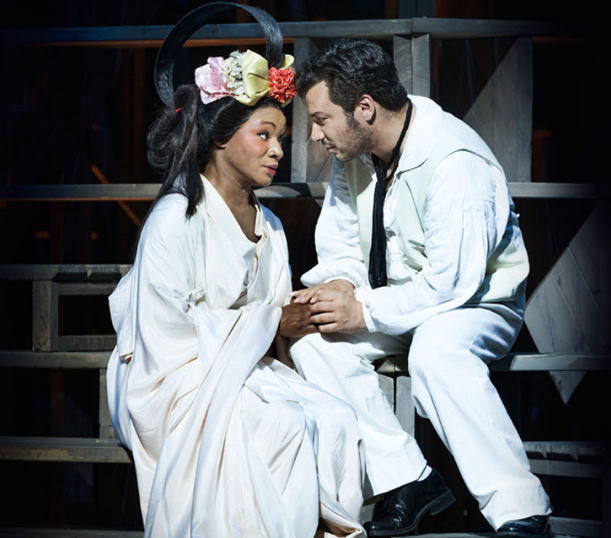 Elizabeth Llewellyn (Cio-Cio-San) and David Danholt (Pinkerton) in the Royal Danish Opera production of Madame Butterfly. At the end of Act I, Crown comes for Bess, and there’s quite a physical struggle between the two of them. Crown sexually assaults Bess by caressing her in ways that she clearly does not want. At the end of the scene, Bess pulls Crown toward her with his belt and kisses him. 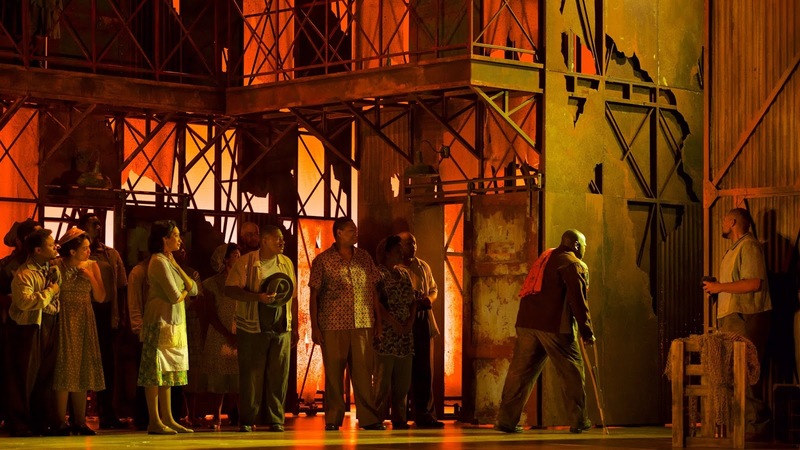 How did you create this scene with Stage Director Garnett Bruce and baritone Lester Lynch (Crown)? A candid photo from Angel Blue's Instagram! 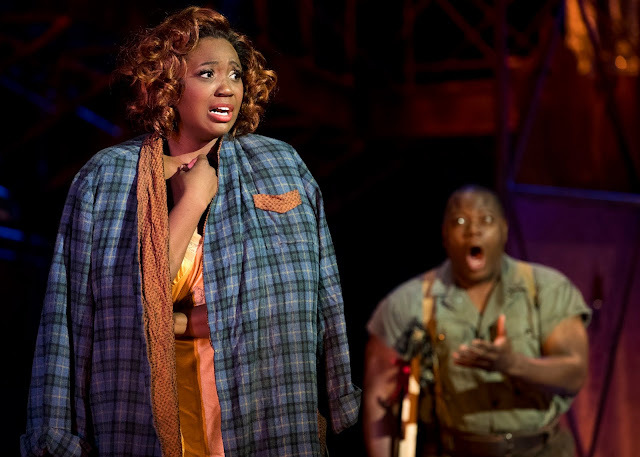 Angel says: "This is my first time singing Bess and it is a fantastic role to sing! 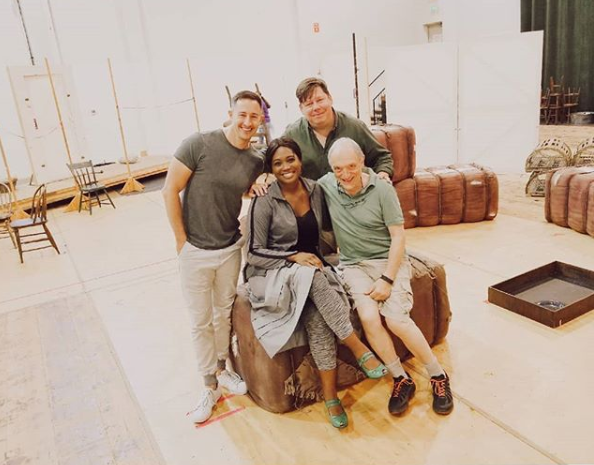 @seattleopera holds a special place in my heart, and these 3 wonderful men are making my job so much easier by working with me to create an unforgettable character in Bess. What an honor! From left to right they are Choreographer Eric Sean Fogel, Director Garnett Bruce and Maestro John DeMain." While holding space for victims of abuse who may not want to see a scene like this, can our discomfort ever be a good thing? What do you hope people get out of this story of Bess, Porgy, and the people of Catfish Row? Seattle Opera's Porgy and Bess plays now through Aug. 25, 2018.